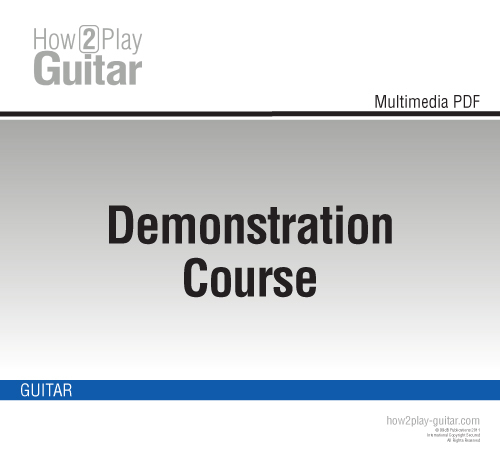 Download our free guitar demonstration lesson! This short and completely free demonstration course will offer you the opportunity to get a clear idea of what How2Play guitar lessons really are. Herein various course excerpts from altogether different sections (beginner, techniques, etc.) are united in order to present you with a general view of what you will find on the website. Please Mind! In order to fully take advantage of the multimedia capacities of your PDF file, you should absolutely avoid opening it with PDF readers other than Adobe Reader. Other readers may open the PDF, but they won’t let you access the integrated audio and video recordings. Adobe Reader software operates as well on Windows as it does on Mac OS; so click here and download it for free. If it’s already installed on your computer, make sure to use the latest version – it is always the most effective.